The LIXIL Group promotes the conservation and sustainable use of water across the entire lifecycle of our products, from procurement through disposal. 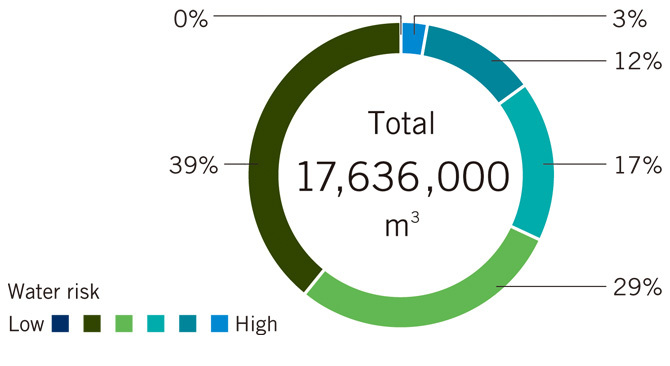 *Our action plans, KPI, targets and performance share common targets for greenhouse gas emission reduction, water resource preservation, and sustainable resource use. 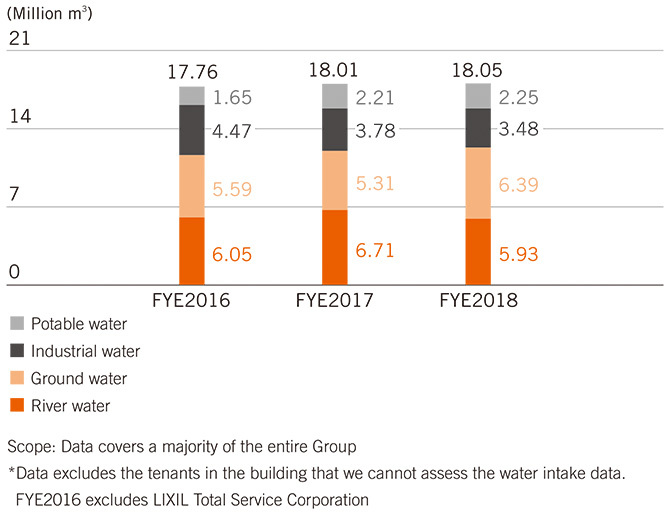 The LIXIL Group is focusing on water conservation as a core theme for our 2020 Mid-term Targets. 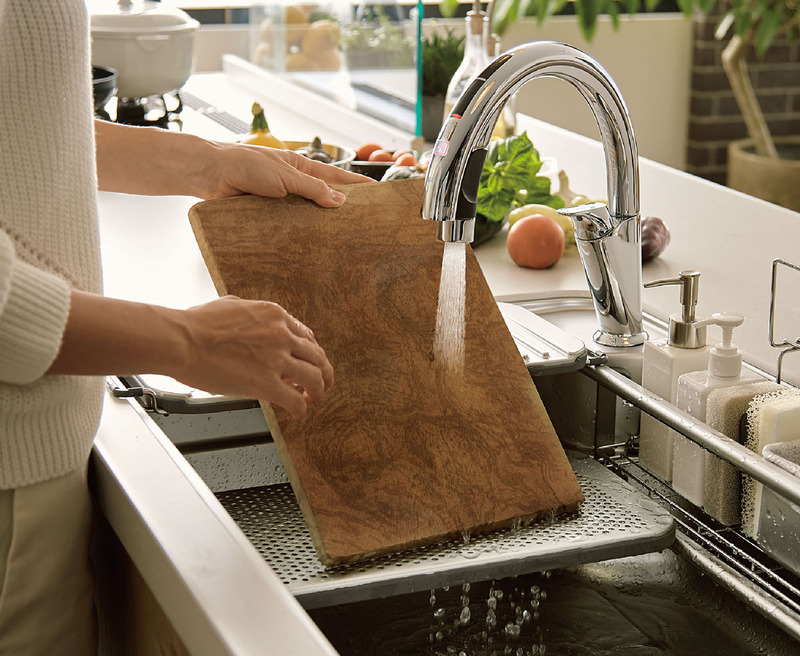 This includes enhancing the water-saving features in our products and services. The SATIS toilet, with its strong cleaning performance and its water-saving functionality, is able to save up to 60% of water use compared to conventional toilets that use 13L of water for each long flush. It is also possible to reduce the amount of water used for cleaning the toilet thanks to AQUA CERAMIC, a sanitary ware material that will stay shiny for 100 years, and which enables dirt to be easily washed away with just water. According to a survey of European households conducted by GROHE in 2017, 54% of households have experienced some form of water damage. 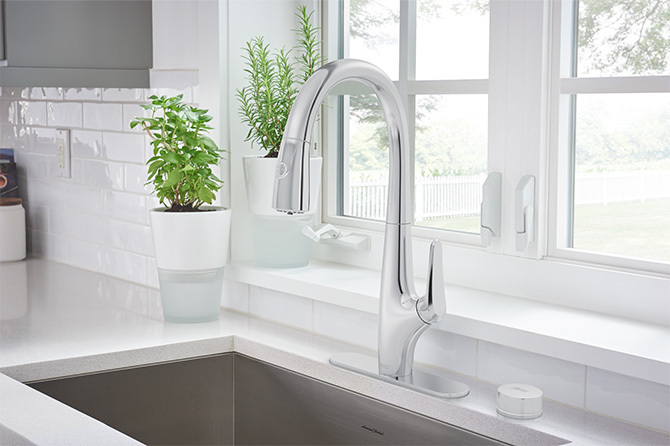 In response, GROHE developed the remote-controllable GROHE SENSE GUARD. 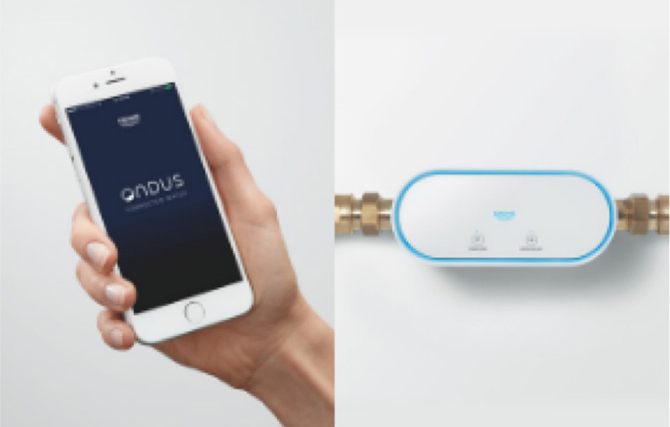 Used together with a smartphone app, it notifies users in the event of a pipe burst and automatically shuts off the water supply to minimize damage. To help preserve water resources, the LIXIL Group is working to further improve the efficient use of water in our business processes by developing tailored measures for each production base. The LIXIL Group uses large amounts of water for aluminum product surface finishing and other processes. In order to conserve water, we study the level of water usage per factory, including water intake, water usage per process, and the installation of water circulation systems. In addition, we promote efficient use of water by building circulation systems and engaging in other conservation measures, as well as conduct strict wastewater management to protect and maintain water quality. With global water resources becoming increasingly scarce, the LIXIL Group identified water supply risks at production sites in order to better understand local conditions and introduce appropriate countermeasures. We used international evaluation tools such as the WWF Water Risk Filter and the WRI AQUEDUCT to quantify local characteristics and water usage. 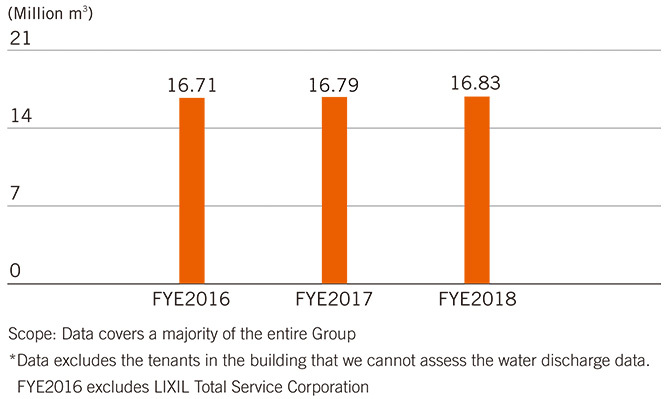 We analyzed 71 LIXIL Group production sites around the world that use water in their production process in FYE2018, and identified six high-risk sites. We are currently promoting initiatives designed to alleviate water risks, starting with production facilities that exhibit the greatest risk. People who received food by Turn Water into Food programSince 2012, GROHE has been participating in the “Water for Life” project, which seeks to reduce water usage through the introduction of advanced technology and promotional campaigns in the Middle East and Africa regions, where water is extremely scarce. Part of the initiative revolves around the Turn Water into Food program, conducted together with local food banks since 2015. In this program, GROHE purchases food packages to donate to local families requiring support, equivalent in monetary terms to the amount of money saved by introducing GROHE water efficient products. To date, the programs were conducted in Saudi Arabia, Egypt, and Turkey, and also extended to Jordan in 2018. In Jordan, where schools are among the highest public spaces for water consumption, water efficient taps were introduced in an all girls high school. GROHE has already provided food support to a total of over 2,710 families through the program.